By Ruth Annesley on Tuesday, June 13th, 2017 in Pumps, Solar. Why do we choose Grundfos SQF Pumps for stock water? The team at Northwest Hydro Solutions have been supplying and installing Grundfos SQF pumps throughout the Kimberley and Pilbara for the last 10 years. 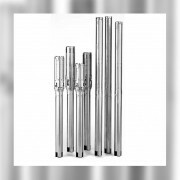 These compact solar submersible pumps are our number one choice because they are cost effective, flexible and present a reliable water supply solution utilising energy from the sun. Grundfos are world leaders in pump manufacturing. 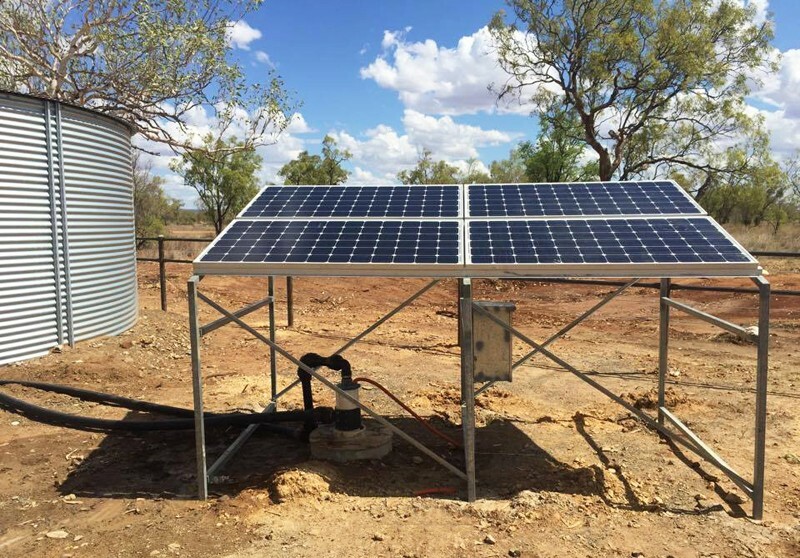 Their extensive research and development into designing the SQF pump range has produced a very simple and user-friendly solar pump system. The solar pumps can be supplied as a “plug and play” unit and will suit most stock water applications. With an inbuilt protection system, these pumps are virtually maintenance free. The inbuilt DC motor is unique when compared to other brands on the market as it will accept both AC and DC power without the need of expensive and heavy generator interface boxes. This enables the user to connect to a backup generator if the demand requires during the night. With the added benefit of having a low generator size requirement (2 Kva). Needing only 30 volts, the pump can move water even on a cloudy day with only minimal sunlight required. Northwest Hydro Solutions stock the full SQFlex range in-store and are now available to purchase from our online store.